Sleeps 8 - Front Bunk Over Cab - Navigation - 4 Door Side by Side Refrigerator - Full Fiberglass Roof - and So Much More! Customer Value Package: Backup & Sideview Camera, Electric Awning w/ LED Lights, Exterior Entertainment Center w/ TV & Single Disc DVD/FM Radio & Speakers, Infotainment System, LED TV in Living Room, Roller Shades, Seamless Crowned Fiberglass Roof, Slideout Cover Awnings. Our Dealer Values and these items are just a few things that Sets Us Apart! No Hidden Fees - Only Selling Price, tax, doc and plate! No Charge Full Fuel Tank and Propane with Camping Kit! Models Available are Alante, Anthem, Aspire, Berkshire, BT Cruiser, Charleston, Conquest, Cornerstone, DX3, Dynaquest XL, Embark, Forch HD, Forester, Forester LE, Forester MBS, Forester TS, FR3, Georgetown, Greyhawk, Insignia, Isata, Legacy, Melbourne, Melbourne Prestige, Precept, Reatta, Redhawk, Seneca, Show Hauler, Sunseeker, Sunseeker LE, Sunseeker MBS, Sunseeker TS. 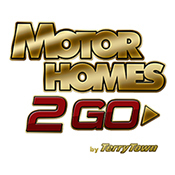 For the best selection of motorhomes in the nation, shop Motor Homes 2 Go today! Located in vibrant Grand Rapids, Michigan, Motor Homes 2 Go specializes in selling Class A and Class C motorhomes.